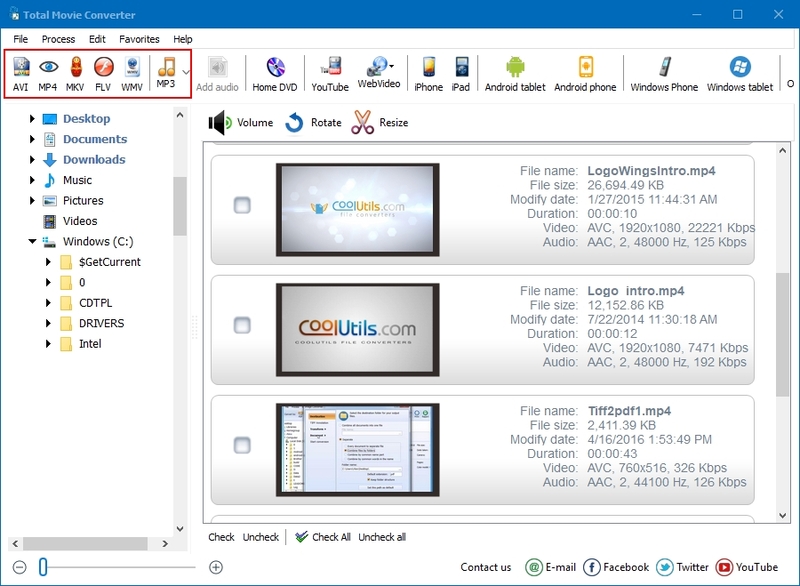 You are here: CoolUtils > Total Movie Converter > It's the easiest way to convert FLV Video to AVI! With the help of Total Movie Converter you can easily turn FLV into AVI within a few seconds. Easy and fast conversion process starts by selecting FLV file you want to convert and clicking on “AVI” button on the top of the window. FLV converter wizard allows selecting one of few codecs for conversion, including MPEG 4, H.264, MPEG 2, MPEG 1 and XviD. The choice of codec depends on where you are planning to use the future AVI file. If you want to watch it via DVD player, select XviD codec – it is supported by DVD players and provides high quality of video. 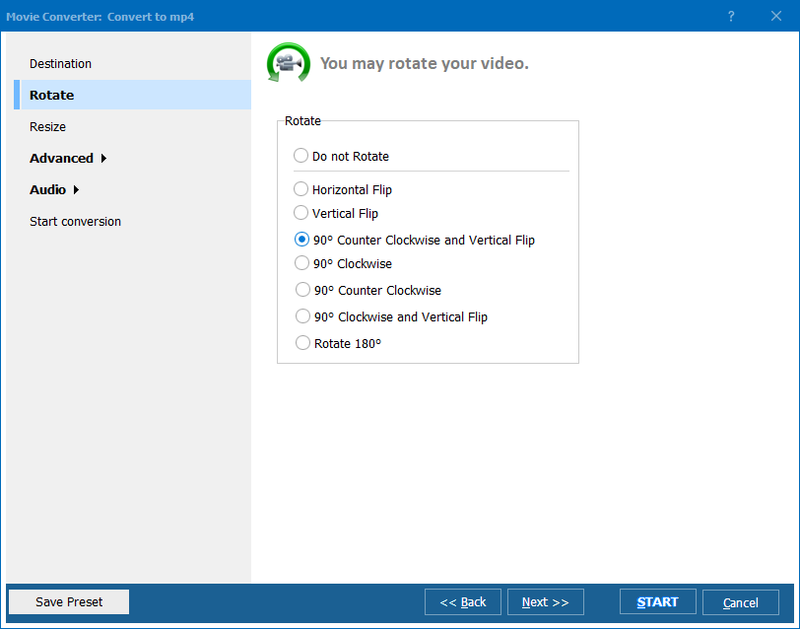 Also here you can select rotation mode, the quality and size of AVI variant or even select a part of FLV video you want to convert into AVI. The “Audio” inlay allows to set audio options like codec type, volume level and samplerate. Total Movie Converter has an alternative way of FLV conversion. If you don’t want to go through all the options for the future AVI version, you can use options by default – just click on “Start!” button.